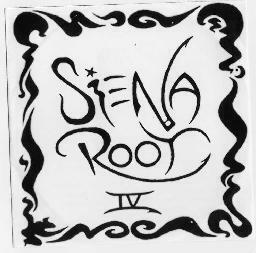 Siena Root is an excellent band from Sweden who has recorded 4 demos now. The band is clearly rooted in the 70’s with an excellent melodic jamming sound with a great Hammond organ and soulful vocals. The bands debut CD/LP will be out next May on Rage of Achilles label in England. This demo is not as heavy as in the past with 3 more soulful numbers. The opening track of this demo, "Trippin’" is an excellent late 60’s style heavy rocker. "Into the Woods" is a slow song with flute and Hurdy Gurdy to compliment the passionate vocals! "Roots" opens with a simple guitar line for which the bass and drums slowly float in. Reminds me a bit of the DOORS. A very promising band from Sweden! Check out their web site at http://www.sienaroot.com to hear these latest demos and the occasional live track as well.